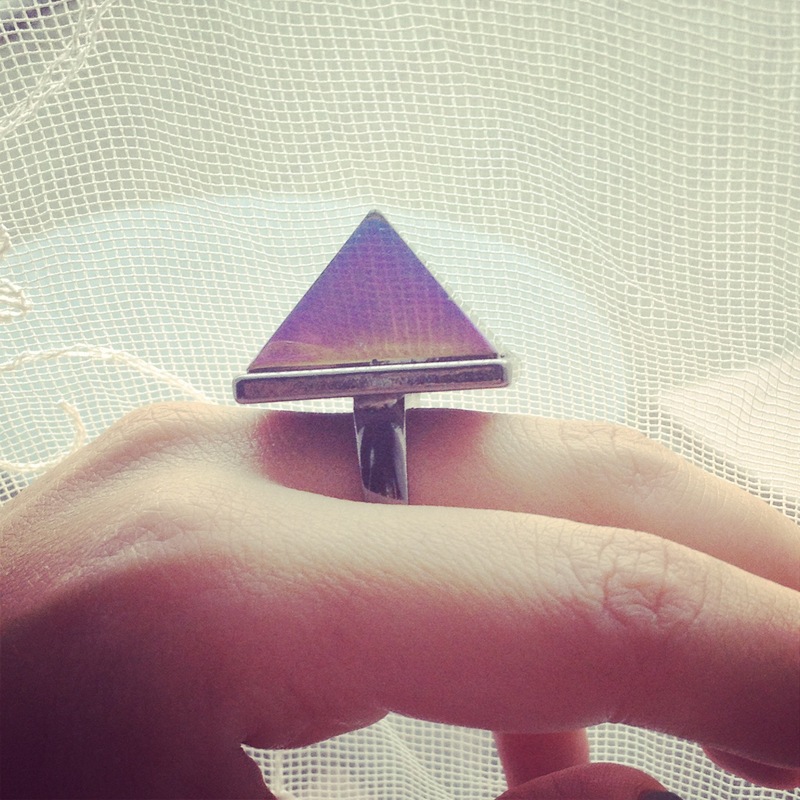 The H&M jewellery parade has just started, there is a lot more to come, I just have to share this awesome ring I bought a couple of weeks ago. 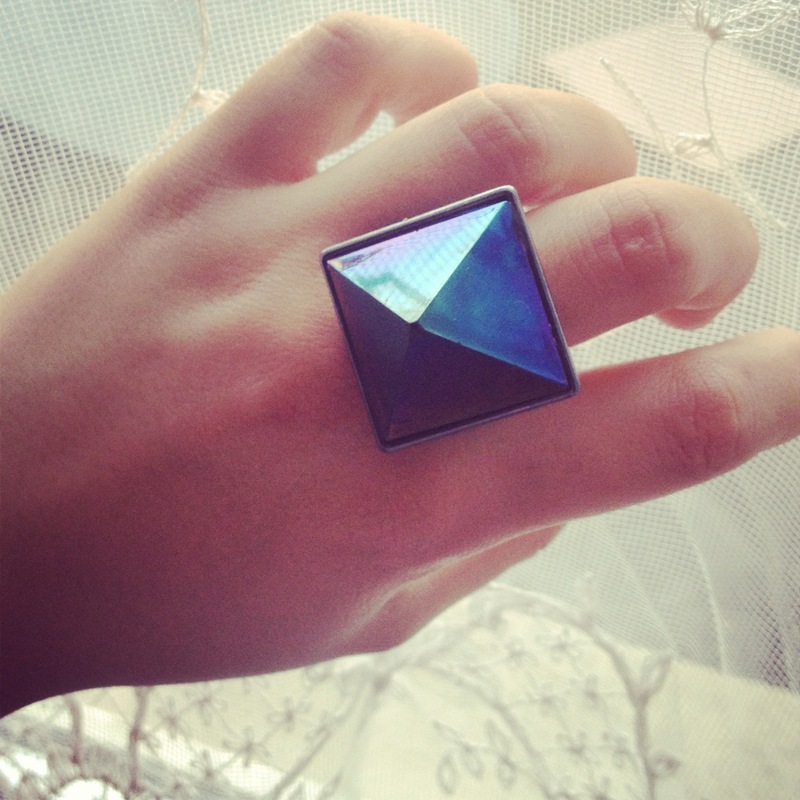 It’s a pyramid ring and it changes its colors with the light. I am deeply in love! This entry was posted in Accessoires. Bookmark the permalink.